Get inspired by the projects that I’ve created – and learn how to create your own! 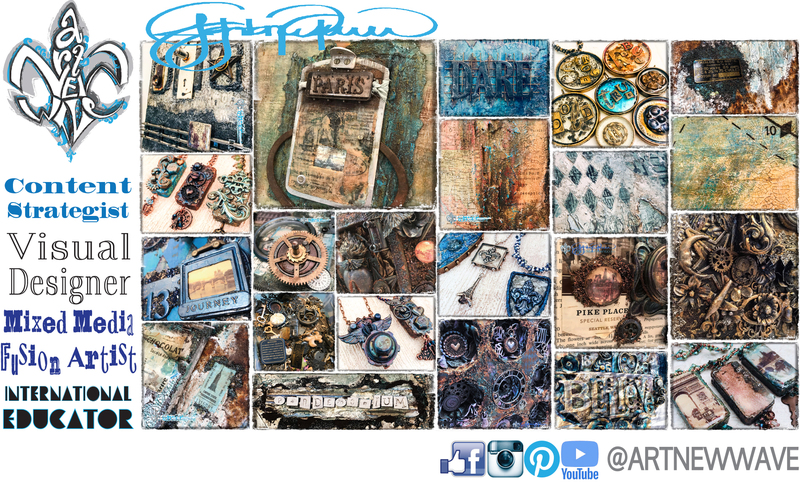 Here you will find a wide range of projects that I have created, many with step-by-step instructions and explanations of the techniques that I’ve used for creating color and texture in my mixed media works. Many of these techniques can be easily adapted for a variety of different projects and mediums so be sure to take some time the many projects that are presented here. Select an image below to begin your creative journey.